An easy summer salad recipe. 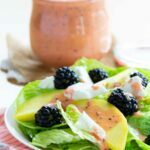 Your favorite lettuce or mixed greens are topped with slivers of mango, juicy blackberries, and crumbled goat cheese with a tangy Strawberry Lime Poppy Seed Salad Dressing for a healthy summer salad. 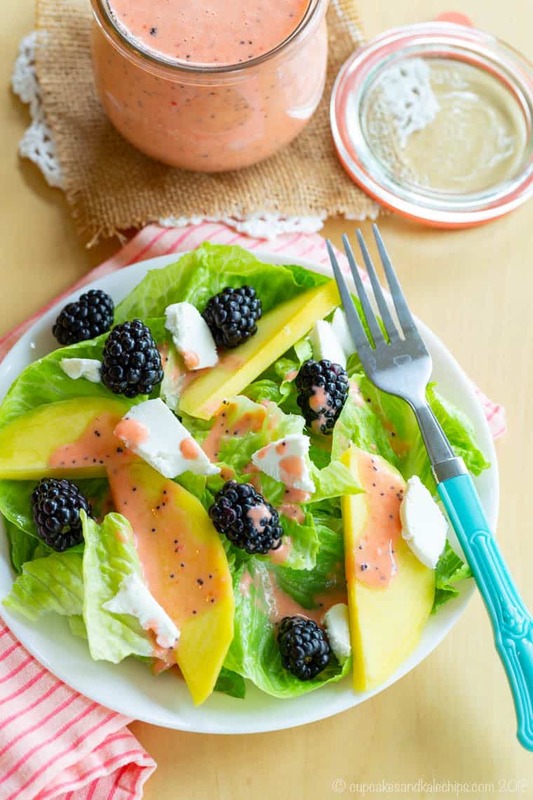 Mango Blackberry Goat Cheese Salad is an easy summer salad recipe with fresh ingredients and the zing of a Strawberry Lime Poppy Seed Salad Dressing. 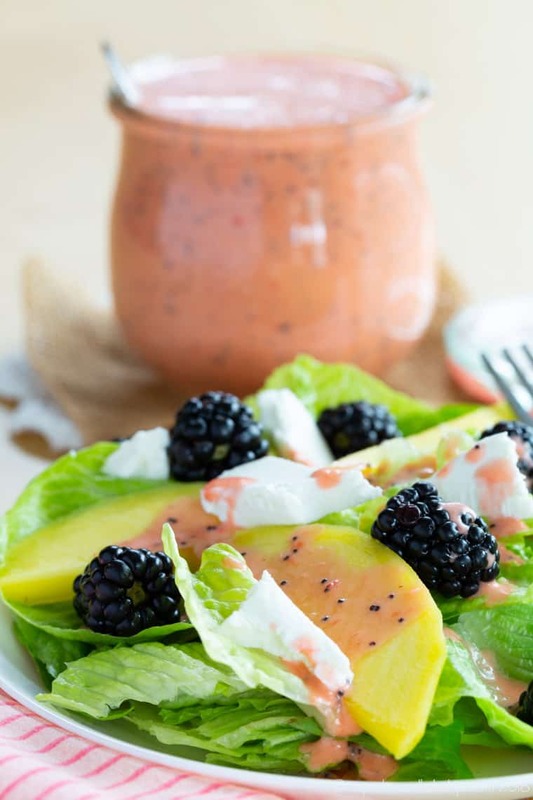 Lettuce or mixed greens are topped with slivers of mango, juicy blackberries, and crumbled goat cheese is a simple combination pulled together with a tangy vinaigrette to make the flavors pop in your mouth. 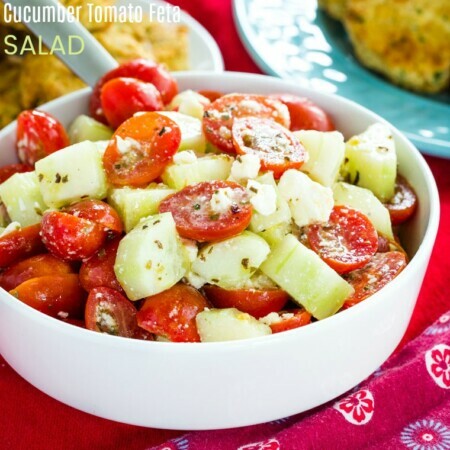 This healthy salad recipe is a lovely light lunch or side salad, or top it with your favorite protein, such as grilled chicken, steak, or shrimp, to turn it into a meal for the perfect cool dinner for hot summer days. You guys, this weather is nuts! This winter was long and cold and miserable. We were waiting and waiting and waiting for spring and summer to come. Yeah, this isn’t exactly what I meant. Did we get the sunny spring days with the perfect warmth that isn’t too hot, but is still a welcome reprieve from the frigid days of January and February and March and, well, April too? Nope. We got rain. And wind. And more rain. I just can’t anymore. For my sister’s bachelorette party we were supposed to have a picnic at a winery. It was pouring. My Big Guy’s First Communion was supposed to be a backyard barbecue. It was overcast and damp and humid. We were supposed to take pictures outside for my sister’s seaside wedding. On the request of the bride, we still took the pictures outside, but in a monsoon. Let’s just say she had to place a quick Amazon prime order for umbrellas which were a key prop in the photos. Well, until the wind started flipping them inside out. Memorial Day weekend, the unofficial start of summer was a washout. And this coming weekend, the first weekend of June, we have tickets to see the Yankees play the Orioles and plans for a Cub Scouts camping trip. I’m guessing that with four straight days of thunderstorms coming that none of the above is happening. This easy summer salad has fresh, seasonal ingredients, vibrant colors, and a touch of the tropics with mango on the salad and lime in the dressing. Crumbled goat cheese adds a tangy, creamy element to balance the bright flavors. You’ll want to make this salad all summer long. 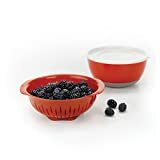 When you are at the farmers market or grocery store, pick up salad greens, a mango, blackberries, strawberries, and a few limes. Other than maybe the goat cheese, you probably have everything else in your pantry. 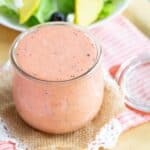 First you’ll need to make the Strawberry Lime Poppy Seed Salad Dressing. Just grab those strawberries and limes and blitz them up in a blender with olive oil and honey, then stir in some poppy seeds. For the salad greens, I went with baby romaine, but you can use your favorite. Some spring greens, baby kale, spinach,or arugula would also be lovely. At this point you can toss the greens with the dressing, or wait till the end and drizzle it over the top. I actually prefer it drizzled at the end so the gorgeous pink color really stands out against the yellow mango and purplish berries. 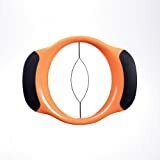 If cutting a mango drives you crazy, this Mango Corer is a lifesaver. Then you can see my trick for peeling a mango in the video in this Mango Avocado Salsa recipe. Simply divide your greens on the plates, top with mango slices and blackberries, crumble the goat cheese over the top, and, if you haven’t already tossed it with the lettuce, drizzle the dressing over the top. A few pecans or nuts couldn’t hurt either, but I left them off this time. Serve as a simple lunch or side salad. 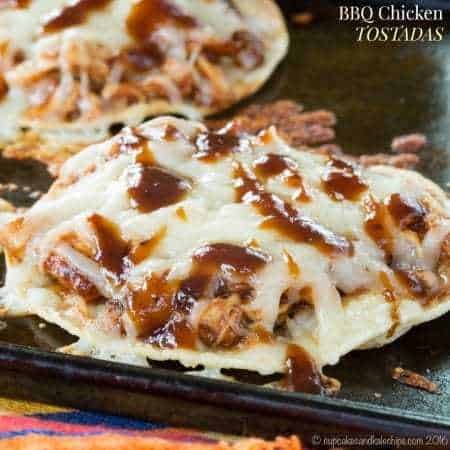 Or you can make some Lemon Herb Grilled Chicken Breasts or use leftover slow cooker roast chicken, grilled steak, or shrimp to make this a satisfying but light summer meal. 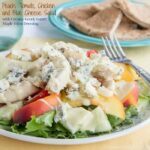 Peach Tomato Chicken Blue Cheese Salad is satisfying and fresh with late summer fruits and veggies. 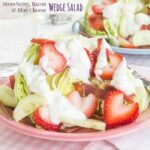 Strawberry Wedge Salad takes the classic wedge salad and adds a sweet element, plus the traditional bacon and blue cheese. Fruity Grilled Shrimp Salad is as beautiful as it is light and delicious with fresh watermelon, chunks of pineapple, and succulent shrimp. 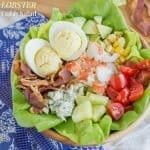 Lobster Cobb Salad is a copycat recipe from Coastal Flats that puts a seafood spin on the same old Cobb salad with luxurious lobster tails, plus bacon, blue cheese, deviled eggs, and more. Grilled Steak Mango Salad with Avocado Buttermilk Ranch Dressing is definitely a meal salad with hearty flank steak and a rich and creamy dressing. Easy Summer Salad with Blueberries from Family Food on the Table also has cucumbers, pecans and feta, but the star is the blueberry balsamic dressing. Berry Almond Spinach Salad from Reluctant Entertainer is fresh and healthy with season summer ingredients. This healthy salad recipe will be a simple addition to your summer menu. 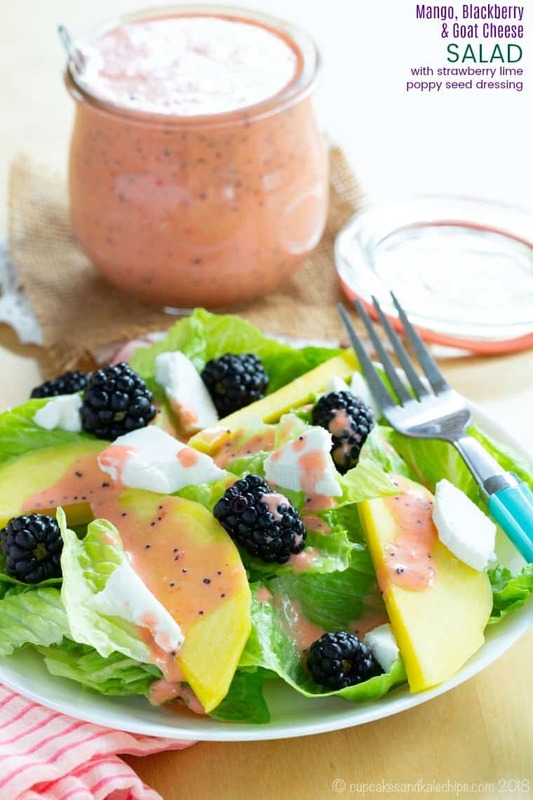 Blackberries and mango have both flavors and colors that complement each other perfectly, making this a salad you can serve to guests, But it is also easy enough to throw together just for yourself for a quick lunch. The burst of pink color and zippy flavor some the strawberry lime vinaigrette pulls it all together to make it extra special. 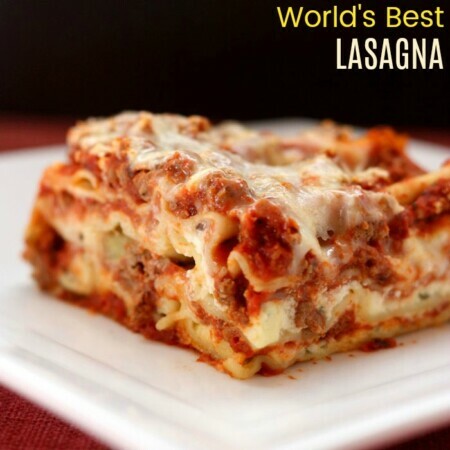 I hope you’ll leave a comment and give it a FIVE STAR rating and share a photo on this pin on Pinterest! 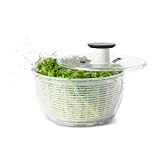 Divide lettuce or salad greens between for plates. You can choose to toss the lettuce with the dressing before plating or wait to drizzle it on top at the end. 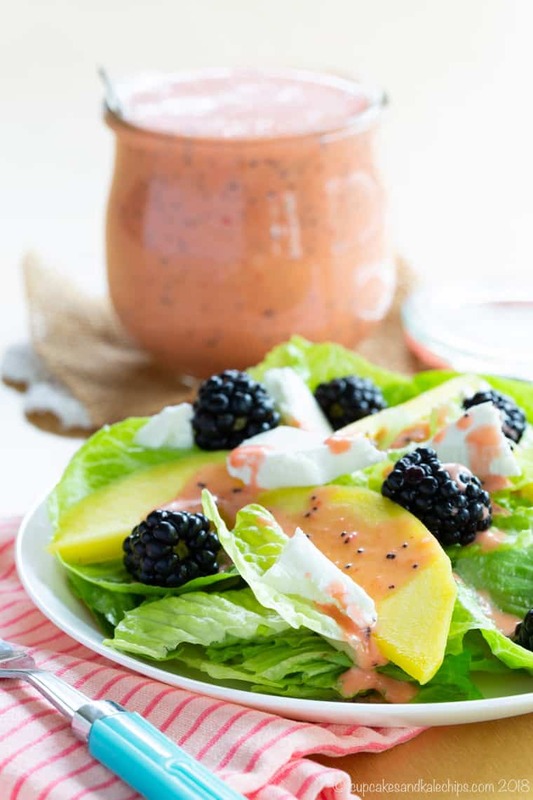 Divide the mango slices, blackberries, and goat cheese between the four plates, placing on top of the lettuce. Drizzle each salad with about 2 Tablespoons of the dressing. A simple sweet and tangy salad dressing perfect for summer. 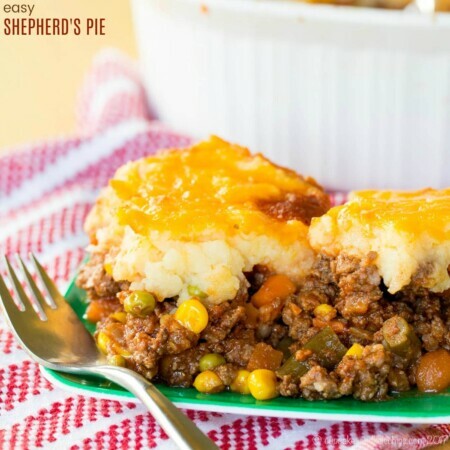 Combine all of the ingredients except poppy seeds in a blender or mini food processor, and blend till pureed and emulsified.